After completing a BFA in photography with a minor in Art History and a handful of years working as a professional photographer, Courtney Simpson saw an opportunity to use her passion for both her hometown and photography to make an impact in the Flint community. That led her to start teaching photography classes at the Flint Institute of Arts, where she has been an instructor for over 10 years. 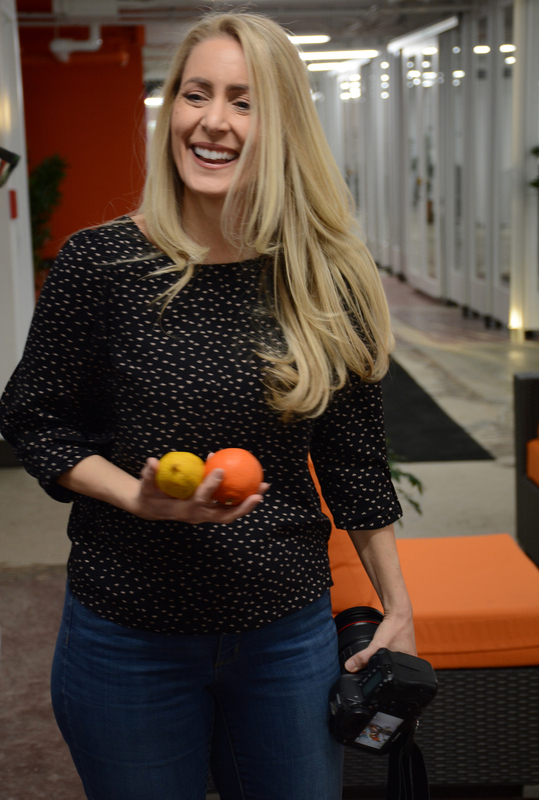 Simpson and her business partner, Ryan Garza, are lifestyle photographers who own and operate Pop Mod Photo. Their studio specializes in weddings, seniors, portraits, and commercial photography. Looking to grow their photography business and expand into offering new photography and photo editing classes, the team set out to find a new location for an office and classroom. Their search brough them to the Ferris Wheel, and the fit couldn’t have been better. Courtney uses Ferris Wheel’s modern spaces to teach hands-on photography classes for everyone from beginners to more-experienced photographers. Current sessions are 4 to 5 weeks long and new 1-3 day workshops are in the works for this year. Classes are open to students of all ages and give visitors the opportunity to practice during the lesson, while also pushing them to expand their skills with take-home assignments. Students learn how to use their own camera for the photography classes and personal laptops are welcome for photo editing classes. Additionally, Courtney also teaches photography to high school students through the Photovoice project, which brings community members together to discuss and act on critical issues presented through photographs and narratives. Partnering with local schools in Flint, such as Hamady and Northwestern High School, photography is taught using the resources students already have. In addition to basic technical and compositional skills, Simpson demonstrates the best photo editing apps and provides students with instruction for attachment equipment to use on their phone. Simpson has greatly influenced the community at Ferris Wheel by providing new opportunities for members and visitors to learn valuable skills. There’s a tab on the Pop Mod Photo website popmodphoto.org for photography classes.